FROM THE BENNY ANDREWS ESTATE ARCHIVES: A NEWSPAPER ARTICLE IN THE WICHITA TIMES, FEATURING BENNY ANDREWS (LEFT) IN CONVERSATION WITH DR. MARTIN BUSH OF WSU, PHOTOGRAPHED IN FRONT OF ANDREWS' SYMBOLS. THE PAINTING, WHICH MEASURES 8 X 36' WAS ACQUIRED BY WICHITA STATE'S ULRICH MUSEUM IN 1977, THE YEAR OF THIS PUBLICATION. Andrews' Bicentennial Series was a six year project, begun in 1970 in anticipation of the American bicentennial of 1976. Each year was dedicated to the production of a single monumental painting, with dozens of drawings and painting studies made in the planning process. Two major works from the series will be shown this coming year, the McNay Museum will exhibit Sexism, 1974; and the Ulrich Museum will exhibit Symbols, 1970. Read about the McNay's and the Ulrich's plans. Wallace's essay documents the BECC's and Ad Hoc's protests and negotiations with the Whitney Museum, and analyzes their strategies for the current moment of activism and resistance. Wallace's takeaways: 1) Be persistent and clear, 2) Use counter-exhibitions and demonstrations to show rather than tell your views, and 3) Aim for change at the center, not the margins, of institutions. 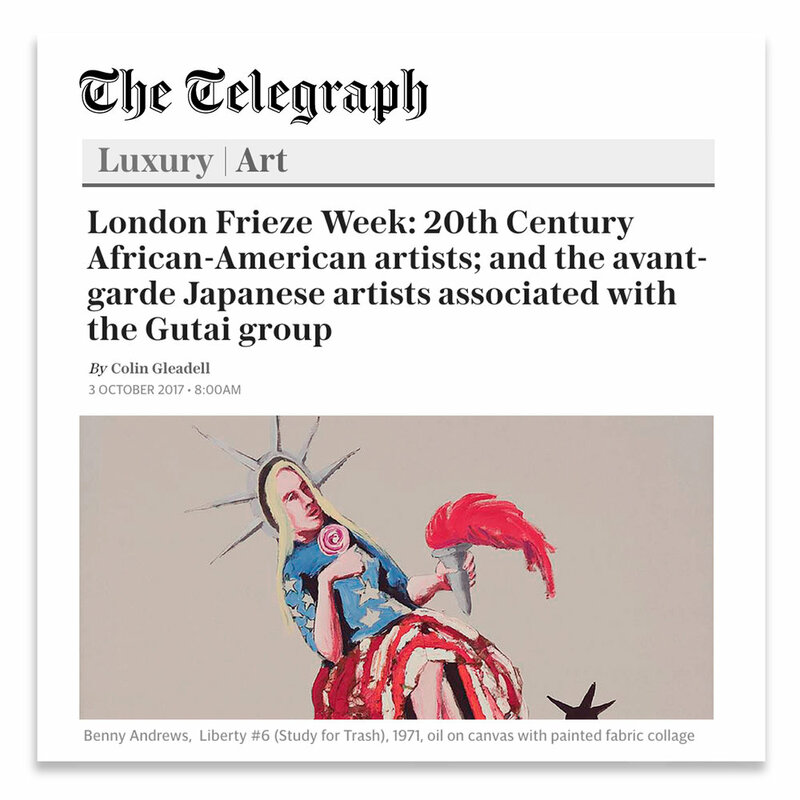 Benny Andrews is in good company in Colin Gleadell's look at 20th Century African American artists at Frieze London. Andrews, Jack Whitten, Martin Puryear, William T. Williams, and Melvin Edwards are all standouts at the fair. 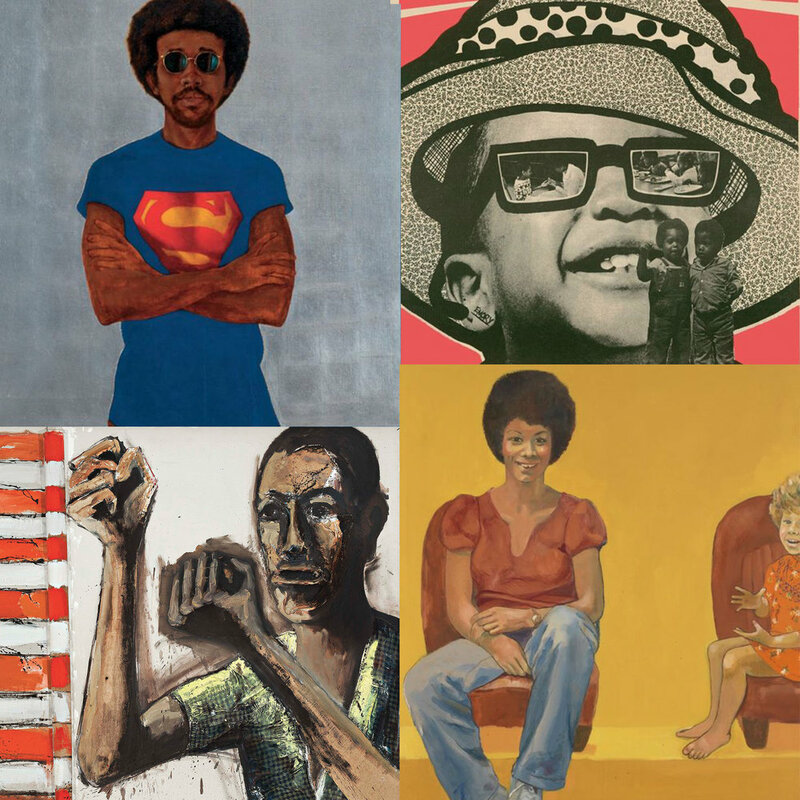 The Tate Modern's exhibition Soul of a Nation highlights the powerful contribution of African American artists working in the era of Civil Rights and Black Power. The exhibit showcases 150 works created by 60 artists between 1963 and 1983. Benny Andrews' Did the Bear Sit Under a Tree?, 1969, is featured in the exhibition alongside works by other exceptional artists like Barkley L. Hendricks, Emory Douglas, Emma Amos, Faith Ringgold, Betye Saar, Jack Whitten, and William T. Williams. Darby English's new book explores color, cultural politics, and modernism through the context of two exhibitions in 1971: Contemporary Black Artists in America at the Whitney and The DeLuxe Show in Houston. English brings new perspective to the Whitney show, which Andrews and the Black Emergency Cultural Coalition (BECC) famously protested. Reviewed during its first run at the Nasher Museum, Southern Accent, which includes Andrews' artwork, recently began its second run at the Speed Museum in Louisville. "The harder you look for a clear, monolithic South, the less likely you are to find one, and therein lies the brilliance of Southern Accent ... In a land with a history of violence so heinous it obliterates nuance, a land still reckoning with unpardonable crimes, and a land that is lushly layered with projections, the exhibit is an exploded diagram of how it feels to be Southern from the inside, with all the diversity, idiosyncrasy, and conflict that it entails"
"In the rear of the gallery, one entire wall is filled by the monumental “Circle (The Bicentennial Series)” (1973) by Benny Andrews, a huge, searing indictment of racism in America. 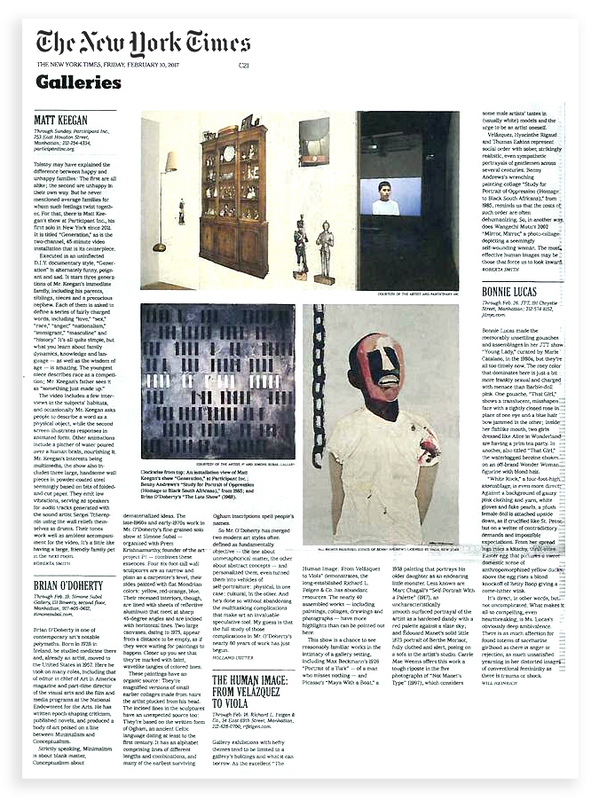 [...] It’s an overtly angry and political work of art, one that has continuing resonance today." "The Human Image: From Velázquez to Viola"
"Velázquez, Hyacinthe Rigaud, and Thomas Eakins represent social order with sober, strikingly realistic, even sympathetic portrayals of gentlemen across several centuries. Benny Andrews wrenching painting-collage Study for Portrait of Oppression (Homage to Black South Africans), from 1985, reminds us that the costs of such order are often dehumanizing."